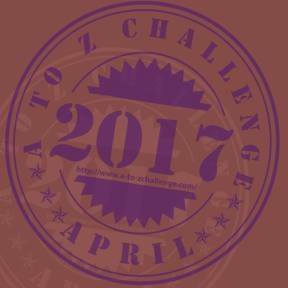 Lloyd of Gamebooks: April A to Z - R is for reviews - an interview with Mark Lain. April A to Z - R is for reviews - an interview with Mark Lain. Hello lovely people. Today we have Mark Lain, author of the reviews of Fighting Fantasy books on his blog along with several of his own Fighting Fantasy books. And now, we're going to have an interview with Mark. For those of us who don’t know, tell us about yourself. I discovered gamebooks when I was seven in the early 80s and have been a fan ever since. I run the Malthus Dire Blog where I’ve been reviewing all the FF (and related) gamebooks for a few years now. I have written several amateur FFs which can be found online. I contribute to Titannica and Demian Katz’ massive gamebook database site. I’m also a very keen collector of gamebooks and related paraphernalia. 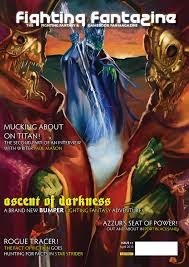 You have done several more reviews, including gamebooks from other sources such as Warlock Magazine. What was your favourite Fighting Fantasy adventure? Now you’re asking... it depends on my mood and what appeals at a particular time. The obvious ones like Deathtrap Dungeon, Trial of Champions and Creature of Havoc never fail to amaze me – they were brilliant 30 years ago and they’re still brilliant now. I will always have a soft spot for WOFM because it was the first one I ever got. I like most of them. It’s a lot easier to list the ones I don’t like – Space Assassin, Chasms of Malice, Sky Lord, Black Vein Prophecy and Deathmoor are all awful and devoid of any merit at all in my opinion! Legacy of the Vampire is about the Heydrich family inheritance. What inspired you to put that angle onto the story? Primarily the fact that the story just cried out to be continued somehow. The Heydrich concept really appeals to me, but I didn’t want to simply bring him back from the dead again and end up retreading old territory so, instead, I went for a slightly more unusual angle. There are echoes of Hammer’s Twins of Evil in the overall idea and I make no apologies for that but I tried to make it sympathetic (and respectful) to Keith Martin’s books (there are little in-jokes for people to pick up on in it here and there) whilst putting my own stamp on it. It’s my favourite by far of the FFs I’ve written to date. Speaking of Heydrich, was there also a plan to debug Revenge of the Vampire? There was, yes, entitled Revenge of the Vampire: Redux. I mocked-up a cover image and started working through writing it up but I wanted too much to put my own stamp on it and started removing parts of it and substituting my own to the point where it was turning into another book entirely! I might go back to it at some point and be less drastic with it. Sukumvit’s Grotto is a Christmas-themed gamebook where Baron Sukumvit has seemingly changed and become charitable. But of course, there’s more. Do you have any more books based on holidays? No. That is the only one for now. It was a very spontaneous creation and only took about two weeks to put together from first having the idea to writing the final draft. I did plan a New Year one late in 2014 but by the time it was approaching completion it was mid-January so it turned into a wedding celebration one! It’s what became Honour And Glory, in fact. It was going to be set around a New Year’s tournament originally. You have written three books since last year – Venom of Vortan, Sukumvit’s Grotto and Legacy of the Vampire. Which one was your favourite to write? I liked writing all three, but all for different reasons. Sukumvit’s Grotto was fun to design, I liked conjuring up all the festive puns and tropes. Venom of Vortan gave me the chance to really flex my imagination, not to mention finding lots of fiendish ways to create a true path. Legacy of the Vampire felt more like I was writing something a bit more personal. What writing projects do you have planned next? Are there any more characters from Fighting Fantasy that you would like to base a gamebook around? I’m creating my own CreateSpace series of gamebooks called Destiny’s Role. I’ve got loads of title ideas and partially-designed concepts that I want to build into the series. There’ll be traditional fantasy, historical... anything goes, really. It’s my way of making sense of all the disparate gamebook ideas I’ve got scrawled on bits of paper. The demon idea that I created in Nightshade will be getting expanded and developed in one of them. Right now I’m writing a stand-alone Sci-Fi gamebook called Days Without. I had the idea ages ago but now I’ve started properly developing the idea. It’s a sort of mystery based around a vanished alien race. Once that’s written I’m then going to write up a 1940s-style detective gamebook that I’ve been designing for a Bulgarian gamebook project. I don’t know if I’ll be writing any more FFs for the time being. What do you plan to review next?